Even though we’ve barely broken in to fall, the fashion world has already got us thinking about spring/summer. The upcoming fashion season was kicked off with New York Fashion Week and the ready-to-wear collections have definitely given us something to look forward to once we get through these cold months ahead. While we drooled over the gorgeous colors and prints like the rest of you, we wanted to give you a sneak peek at what’s to come in the wonderful world of eyewear. 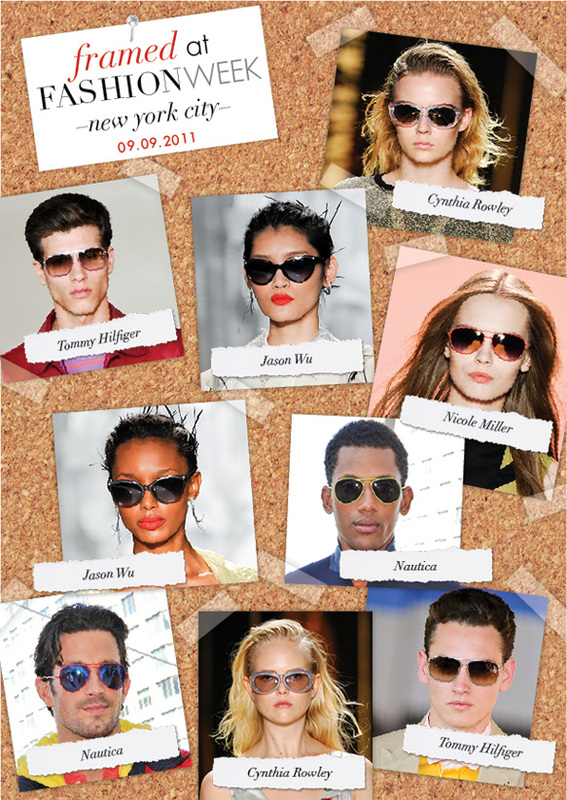 Colored aviators were a hot accessory and seen at Nicole Miller, Tommy Hilfiger and Nautica. Jason Wu’s lovely ladies sported black, tear drop style cat-eyes with metal accents on the browline for a touch of edginess. 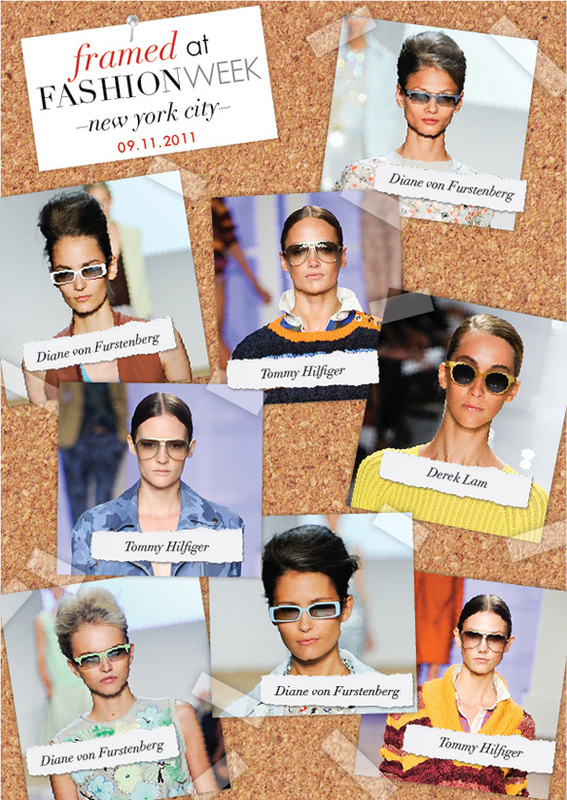 Cynthia Rowley went for futuristic with translucent frames, see-through lenses and colored, mirrored lenses. 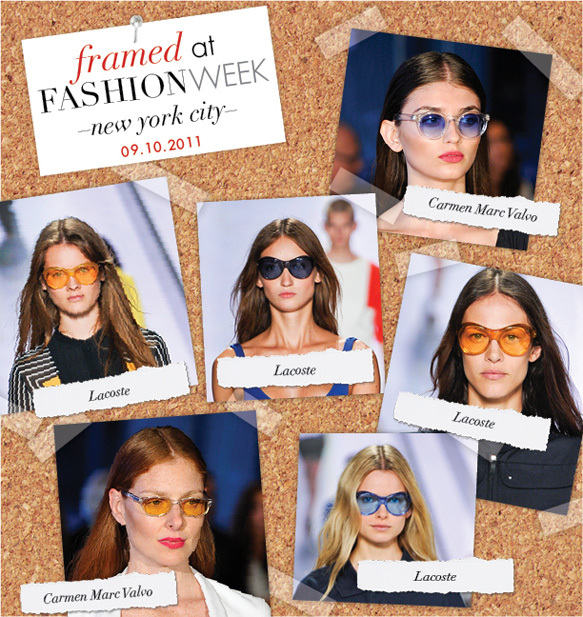 Lacoste showed off sporty style with goggle-esque sunnies in orange and blue with matching lenses. Also inspired by the oranges and blues were the retro shades seen at Carmen Marc Valvo. Tommy Hilfiger kept the aviator look in his women’s collection but skipped the color and instead opted for making a statement with oversized styles. Diane von Furstenberg took a dramatic turn from her fall collection (big, bold round frames) and chose more streamlined shapes with feminine pastels. 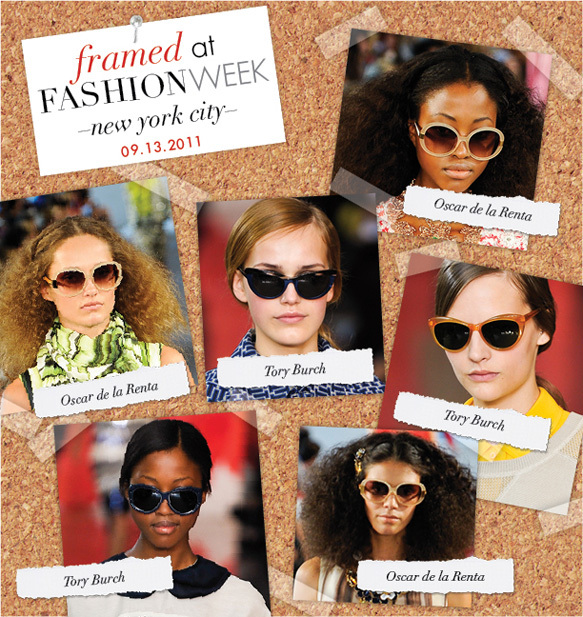 Derek Lam channeled a retro vibe with this round frame in a honey hue. The round frame is still getting love from the likes of bebe and Michael Bastian, while thick, square frames with flat tops were seen at Marc by Marc Jacobs. 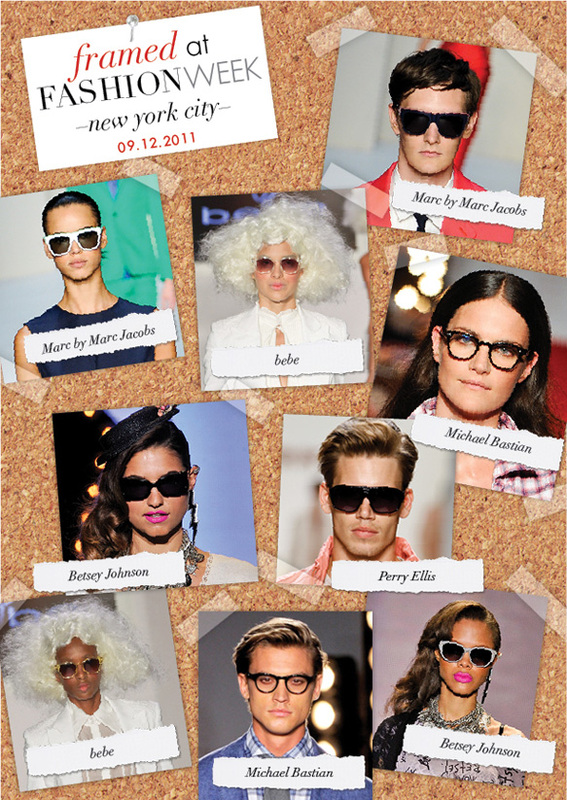 Perry Ellis got active in shields and Betsey Johnson showed attitude in blacked out frames and sassy cat-eyes. Cat-eyes and blue hues were a favorite at Tory Burch and Oscar de la Renta beauties paired oversized, rounded neutrals with their stunning dresses. Proenza Schouler’s super sharp and upswept cat-eyes resembled wings and were definitely an eye-catcher. 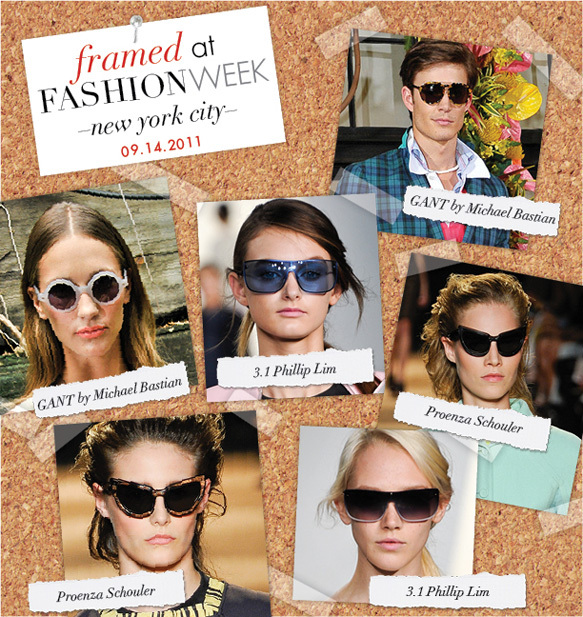 Michael Bastian continued his love of vintage eyewear by channeling it into his GANT by Michael Bastian collection. The 3.1 Phillip Lim runway was full of sporty ladies in blacked out, all blue or ombre shields.